Kombucha is an ancient Chinese fermented tea, dating back approximately 2000 years. Traditionally known as the “Immortal Health Elixir”, it is a semi sweet and lightly effervescent tea, fermented from an infusion of sugar and tea. Rich in probiotics and vitamins, kombucha can boost your immune system and your digestion. Best of all, it is delicious, and you can experiment with different variations of the base recipe until you find exactly the right brew for you! Since ancient times, kombucha has been dubbed the “Elixir of Life” and the “Tea of Immortality” indicating that people have been appreciating its health benefits since it originated in China in 221 BC. The fermentation of the tea creates probiotics which line your digestive tract, boosting your absorption of nutrients and strengthening your immunity. Fermentation also increases the natural anti-oxidant level of tea, making kombucha rich in anti-oxidants which detoxify the body, reduce inflammation and protect against disease. The balance of beneficial acid, probiotics, enzymes and amino acids in kombucha all contribute to supporting healthy digestion and restoring balance to the digestive system. The probiotics in kombucha can help heal yeast infections such as candida. Usually one regular glass is fine, but if you are new to kombucha we recommend starting with a smaller amount and testing your response. How much sugar is in kombucha? The sugar feeds the yeast, which creates CO2 & ethanol, then the bacteria consume the ethanol and convert it into healthy acids. Very little sugar remains when it is bottled depending on how long the fermentation process lasts. What is the difference between natural carbonation and forced carbonation? Forced carbonation involves placing the liquid under pressure and mechanically adding carbon dioxide to create artificial bubbles which are more uniform than the bubbles from natural fermentation, and tend to stick to the side of the glass. Natural carbonation occurs during the secondary fermentation also known as bottle conditioning. The second stage of fermentation in the bottle creates the necessary pressure to trap the natural build-up of carbon dioxide from fermentation. The bubbles formed from natural fermentation tend to be soft and “ticklish” yet resilient, so your drink may not seem as carbonated as a commercial soft drink, but the bubbles will certainly last longer.  At Nourishing Wholefoods, we make our kombucha in small batches and only use natural carbonation. Can I use herbal teas instead of black or green tea? Yes, kombucha does contain traces of naturally occurring alcohol, as a byproduct of the fermentation process, where yeast consumes sugar, converting it to alcohol. However, the alcohol level is so low, kombucha is not intoxicating and will not induce any changes in mood or physical or mental abilities. Is it safe to drink kombucha during pregnancy? In our experience during pregnancy and breast feeding, drinking kombucha is perfectly safe and can be helpful for dealing with morning sickness. Kombucha can increase your energy levels and maintain a healthy digestion, while increasing your nutrient intake. While experts warn against drinking alcohol during pregnancy, the alcohol level of kombucha is so minimal, it will not affect a foetus.. I want to brew my own! Great! It's fun and easy, see our kombucha brewing guide.